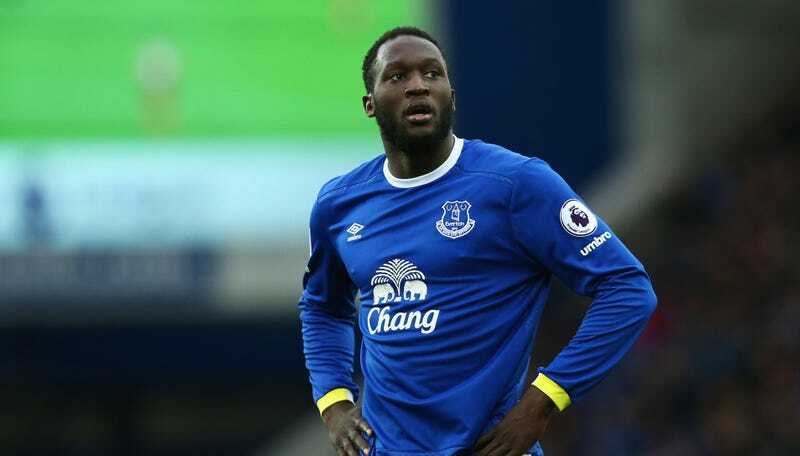 Romelu Lukaku, the Premier League’s leading scorer and guy who is way too talented to be frittering his talents away on Everton, a mid-table club with no real shot at the Champions League, was fed up today during Everton’s 1-1 draw with Manchester United. Near the end of the game, with Everton leading 1-0 and facing heavy pressure from Manchester United, Lukaku got into it with his teammate Ashley Williams after Williams appeared to scold him. Lukaku can be seen shushing the Welsh defender before Gareth Barry intervenes. Williams went on to concede a stoppage time penalty when he committed an obvious handball in the box. At the end of the game, a clearly annoyed Lukaku was shown talking to his friend and Manchester United player Paul Pogba. That’s one take. Another is that Lukaku—a world-class player toiling on a lesser squad, who has nearly single-handedly kept Everton afloat this season with his 21 goals—was frustrated by both the match and the season as a whole, and didn’t take kindly to Ashley Williams exuberantly calling him out on the field during play. That strikes me as disrespectful.